David Friedman, Donald Trump's Israel adviser and Arutz Sheva columnist, outlines what a Trump presidency would mean for Israel. 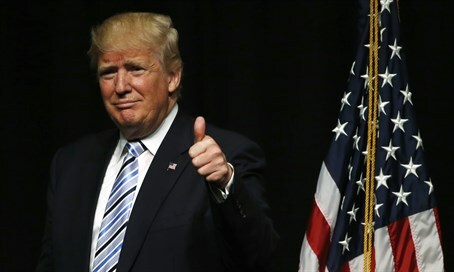 Attorney David M. Friedman, one of Donald trump's two advisors on Israel, told Arutz Sheva in an exclusive interview that Donald Trump has assured him he will not pressure Israel into "peace processes" and concessions that it does not want. “I’ve known Donald Trump for about 15 years," he said, in a conversation with Dr. Joseph Frager. "I met him in the context of being his lawyer, and we’ve become friends over the years. He know how much I love Israel, and hopefully people who read Arutz Sheva know how much I love Israel because I write a column for Arutz Sheva as often as I can. Trump "wanted an advisor who he knew loved Israel," Friedman explained. "So I hope people can take comfort in the fact that he’s taking advice from me. Because there’s obviously hundreds of people in New York who have thoughts about Israel – to the right, to the left, and the middle – and he chose someone who he knows has a deep love for Israel. For all of Israel, for the entire Land of Israel. So that alone says something about his feelings. He has a very strong view as to who’s wrong and who’s right in the Israeli Palestinian conflict. He remembers very well who was dancing on the roofs at 9/11 and who was mourning, who was crying. He has an innate sense of the issues and the problems, but most importantly he knows who’s right and who’s wrong. "I have his assurances that he’s not going to pressure Israel to do things that are not in Israel’s best interest. If Israel wants to pursue a peace process he’s happy to help. But he’s not going to pressure Israel into things that it doesn’t want to do," Friedman stressed.